"Members of La Compagnie Hervé Koubi performed in "What the Day Owes to the Night" at the Fall for Dance Festival last Friday. 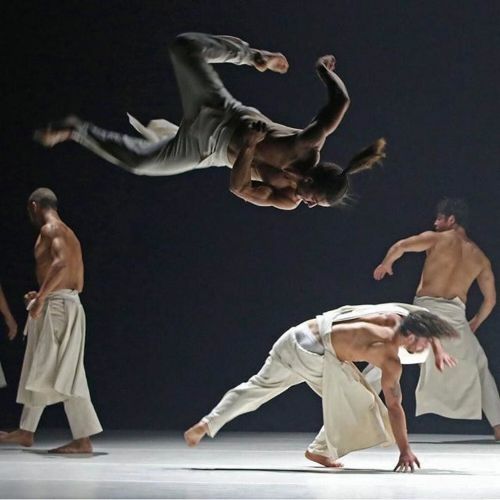 The number combined martial arts, #capoeira and #hiphop with the Algerian heritage and French training of its choreographer, Hervé Koubi. To see more photos of #dance and #dancers, follow @andrea_mohin, a @nytimes staff photographer. The #FallforDance Festival — which takes a mix-and-match approach to dance from around the world — runs through Sunday at @nycitycenter." By nytimes on Instagram.